Juventus' Italian winger Federico Bernardeschi is suffering from discomfort in his right adductor, the Serie A champions announced on Sunday. Juventus’ Italian winger Federico Bernardeschi is suffering from discomfort in his right adductor, the Serie A champions announced on Sunday. 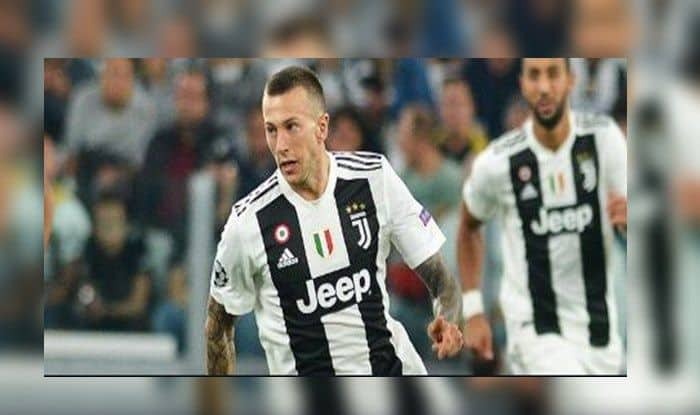 The club, however, did not reveal how long Bernardeschi, who was on the bench during Juventus’ 1-0 win over Roma on Saturday, is expected to be sidelined, reports Efe news. “During a post-match workout in the gym, Bernardeschi suffered a muscle strain to the adductors of his right thigh and his condition will be evaluated from day to day,” Juventus said in a statement. The rest of the squad took part in today’s training session, with the starters of Roma’s game carrying out a recovery workout ahead of the upcoming Serie A clash with Atalanta scheduled for December 26. Colombian winger Juan Guillermo Cuadrado remained on the sidelines due to a knee injury that could require surgery.